LAGUNA HILLS, CA (BRAIN)—January 1 will mark a new step in the collaboration between the International Cycling Union (UCI) and bicycle manufacturers as a new approval procedure for bike frames and forks will come into force on this date. FRIEDRICHSHAFEN, Germany (BRAIN)—The Union Cycliste Internationale (UCI) announced plans for a formal approval process Wednesday afternoon that would allow manufacturers the ability to ensure product concepts meet the organization’s rules during the design process. IRVINE, CA (BRAIN)—Felt Bicycles has partnered with the International Cycling Union (UCI) to supply a full stable of road, time trial, track, mountain and BMX frames to the World Cycling Centre in Aigle, Switzerland. 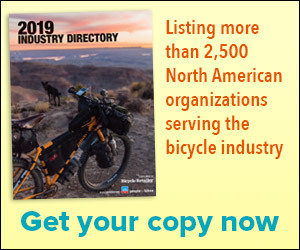 DUBLIN, Ireland (BRAIN)—The cycling equipment industry has formed the Global Organization of Cycling Equipment Manufacturers (GOCEM) with the objective of providing a unified voice for the cycling industry. SAN CARLOS, CA (BRAIN)—The International Cycling Union’s (UCI) stricter enforcement of the “3:1” bicycle design regulation could mean a change on how top-level road components are designed going forward. REDWOOD CITY, CA—When Washington Mutual Bank began to waver this fall amid the national financial crisis, Mike Jacoubowsky started to worry.